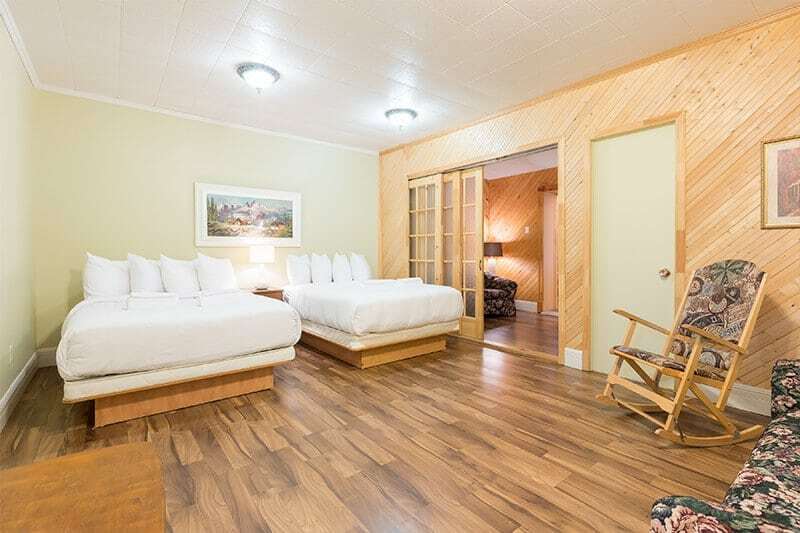 The suites of the Auberge des Berges are ideal for those seeking a little more comfort during their visits of the Saguenay-Lac-Saint-Jean. You will enjoy the extra space and the coffee machine in addition to the various amenities of the Inn to ensure the best stay possible. 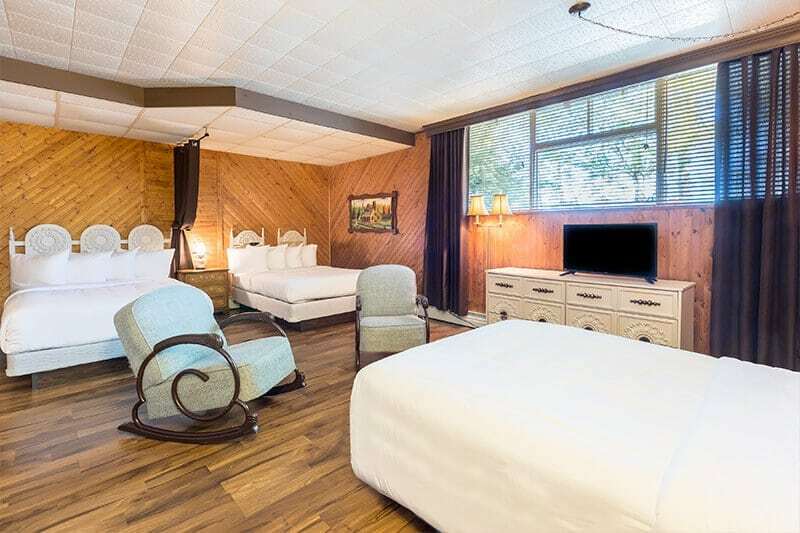 The deluxe suites with a Queen bed are located on the first floor and offer all the amenities you need for a visit to Saguenay-Lac-Saint-Jean. In addition, you can enjoy your room to observe the river along the Auberge des Berges. If you want more space and comfort on your next family visit, our superior suite is just for you! 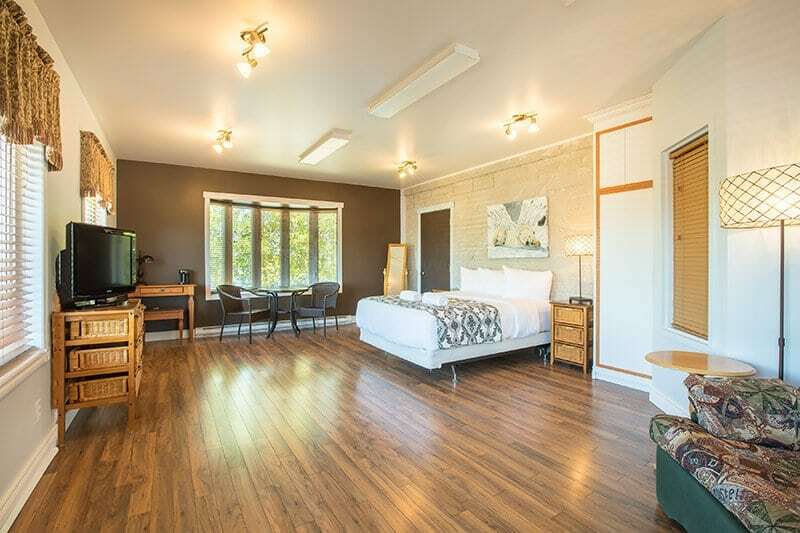 You will enjoy the space and the two Queen beds of this first-floor room in addition to basic amenities such as the refrigerator and the coffee machine for the suites. 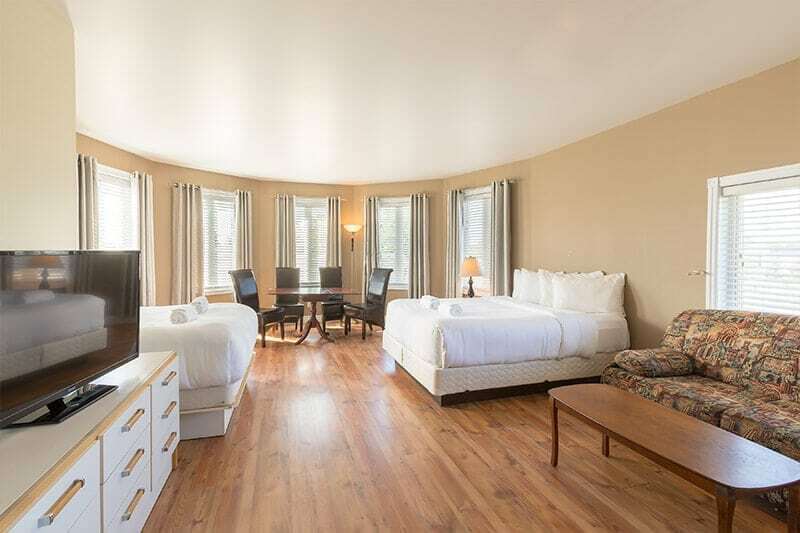 Our Family Deluxe suite with view have everything you need on your next visit to St-Félicien! Located on the first floor, you can watch the river and relax in the two queen beds. The private bathroom and the extra space will make your stay with us a success! 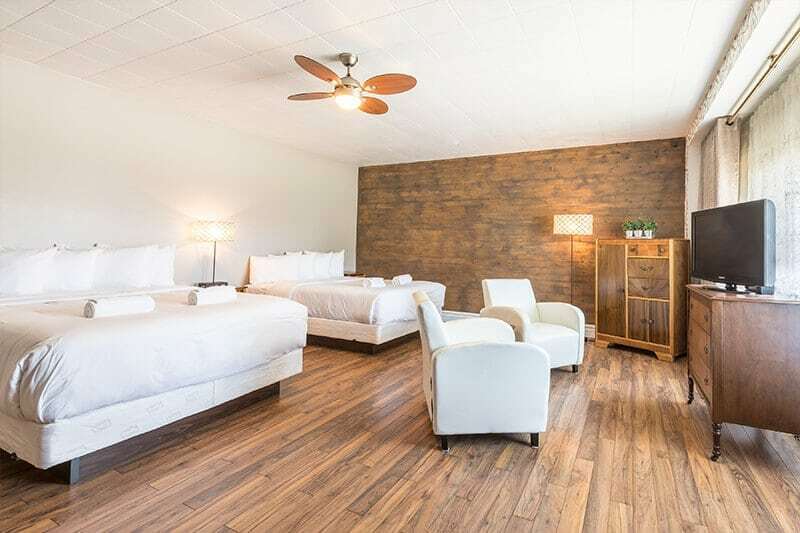 Whether you are with family or friends, our family suite with two double beds and a Queen bed is ideal for your group visit. You will have all the necessary space in this room of the half-basement to plan your entire stay in the city of St-Félicien. 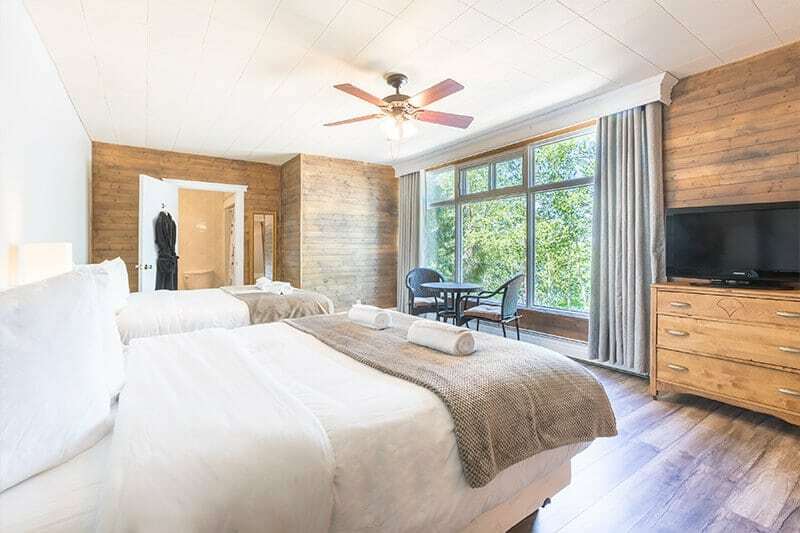 If you want to admire the river that is close to our inn while having maximum space, our Family suite with three double beds is ideal for you! Located in the half basement, you can enjoy the view as well as the amenities of this room. Our Family suite with two Queen beds and one double bed is as comfortable as possible! Located on the second floor with the view on the river, you can also use the functional kitchenette during your stay and make your visit in our region a success!